The film that made international headlines but that China doesn’t want you to see, The Bleeding Edge, has just won the 51st annual Gabriel Award for Best Drama in the Best Film category. 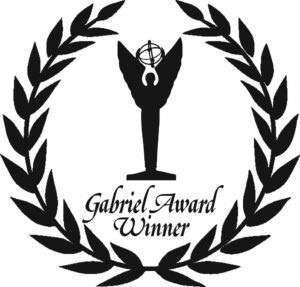 The Gabriel Awards honour “outstanding artistic achievement in media that entertains and enriches with a true vision of humanity and a true vision of life.” and are presented by the US-based Catholic Academy of Communication Professionals. This is the first film that actress Anastasia Lin, the controversial Miss World Canada, has starred in since she was denied entry into China during the 2015 Miss World pageant because of her political beliefs. Her story sparked interest around the world earlier this year and was featured on CNN, NBC, and in TIME, People, The Guardian, among others. She is an outspoken human rights advocate, especially with regards to her native China, which shines through in her stunning performance in The Bleeding Edge. The Bleeding Edge is a thought-provoking thriller that takes place during the onset of internet censorship and surveillance in communist China, when the Golden Shield Project was developed by western tech companies to monitor the activities of Chinese citizens. The fate of a young mother (Lin), imprisoned in a labour camp for her spiritual beliefs, reveals that the project has a far more sinister motive. The 51st annual Gabriel Awards will be presented at the Hilton St. Louis at the Ballpark, St. Louis, Missouri, on Thursday, June 2, 2016. Past winners include ABC, NBC, CBS, CBC, Discovery etc. Entrants go through a highly selective process of screening and blue ribbon judging.